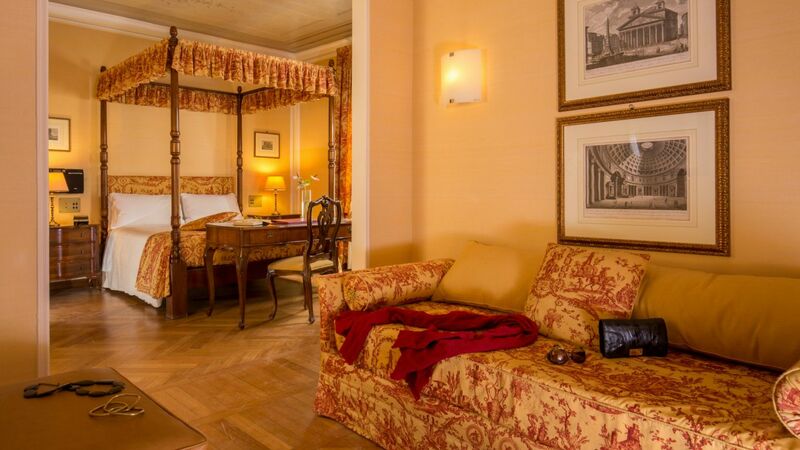 In an elegant old building in central Rome, Hotel Canada is the result of generations of hoteliers. The 72 hotel rooms are perfectly equipped to meet the needs of people traveling for business or for leisure. Hospitality and services designed to the smallest details that will make you feel at home even if you are on holidays! Every room at the Hotel Canada is unique. The rooms, unique in every detail, are embellished day after day with new pieces of furniture, which we never stop hunting for and, if possible, buying, so as to make each room special. Each room has been designed to offer a comfortable and authentic travel experience, accompanied by a personal touch of finesse that we seek to contribute every day. However, this does not stop us from keeping up with the latest technology trends for our rooms, which blend harmoniously with the surroundings. Your reference point in Rome!